Opaque veiled paint with watercolour effect. It creates very natural light and shade effets and thanks to the long working time the overlaps are not vivible. It is appliable on any internal and external substartes painted with a washable paint. 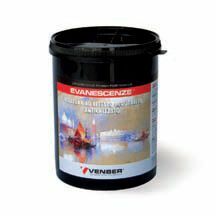 Single coat, high yield product suitable for classic envirorment.